New Delhi: External Affairs Minister Sushma Swaraj has directed the Indian High Commission in Islamabad to issue a visa to a Pakistani child for medical treatment in India. The child’s father, Kashif, had requested Swaraj on Twitter to grant medical visa for treatment of Abdullah, saying he needed post-liver transplant evaluation in India. “The treatment of your child must not suffer for want of medicine. 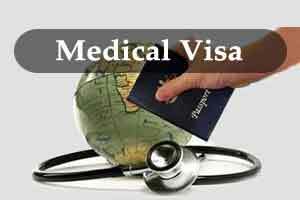 I have asked Indian High Commission to issue medical visa. @ChachaKashif,” the minister tweeted yesterday. Kashif had said the child’s medicines were about to finish and he needed immediate medical consultation in India. In another tweet, Swaraj said a medical visa has also been approved for a Pakistani woman, who wants to undergo liver surgery in India. The woman’s son, Rafique Memon, had requested Swaraj to intervene and grant visa to his mother. Swaraj also responded positively to a request by Nazir Ahmed that his eight-year-old child Mohammad Ahmed is awaiting medical visa for a year. “We will issue visa to facilitate treatment of your 8- year-old child in India,” she said.